International Warehouse Group is a full-service distribution and warehousing company based out of Melville, New York. 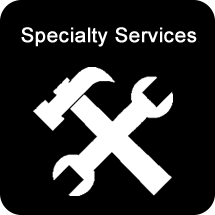 For more than 30 years, we’ve responded to the concerns of our clients with positive solutions and effective results. Our staff members use the knowledge of and dedication to the industry to the utmost benefit of our clients, each and every day in a variety of ways. Let us be your warehouse! Regardless of the industry niche of your business, we can accommodate your warehousing, transportation, and specialty needs. We’ve carefully procured relationships with several distributors, retailers and manufacturers around the world; thanks to our commitment to our clients and our hard-earned relationship for trustworthy, reliable services, International Warehouse Group can confidently offer to be your distribution warehouse. Businesses are able to store vast amounts of items in our New York warehouses, and keep detailed inventories on everything. There is always a place for your inventory with us, no matter what it is you’re storing. International Warehouse Group is located in one of the largest commercial hubs in the entire world, which is key for importing and exporting on a global market. Your inventory will always be ready at a moment’s notice and is always handled with speed and competence with our teams of shippers and transporters – something that smaller warehousing companies cannot say. Nothing speaks more loudly for a business than experience; International Warehouse Group has been in business for more than 30 years, which means our team has adapted and grown through strong economies and weak economic times both. When you have the security, reliability and experience of more than 30 years helping your business with its warehousing, transportation, and specialty needs, you’ll never look at your business the same! Contact International Warehouse Group today and let’s discuss how we can help you grow your company! We are U.S. custom bonded, and our distribution warehouse facilities are always climate controlled; we also have segregated areas so that items stay dry and cool. We can provide trailer storage for all types of freight. 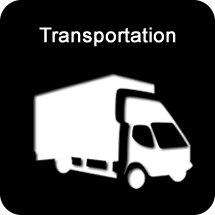 Our experienced team can assist you with all of our customers’ transportation needs; in fact, our experienced drivers are on call 24/7, and we also have connections with all major package carriers. Need a brokerage service to optimize your shipments? We can do that too! Our priority is to help you ensure that your freight is delivered on time, every time. From kitting to labeling and repacking to ticketing, International Warehouse Group offers sound specialty services to fulfill any request that you or your customers may have. We can get your product to market faster, and save you money in the process. 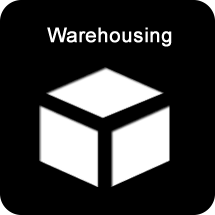 Count on International Warehouse Group to handle your backend office and 4 PL needs! 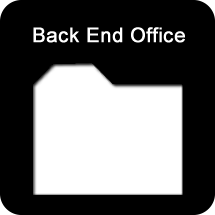 We offer dozens of services to our customers to help manage offices efficiently and effectively.